An Active Learner is where the ‘Is Active’ status is ‘Yes’. A Learner must be Active in order to allow activity. Therefore, by default, when a Learner is added to Wisenet, they will be deemed Active. 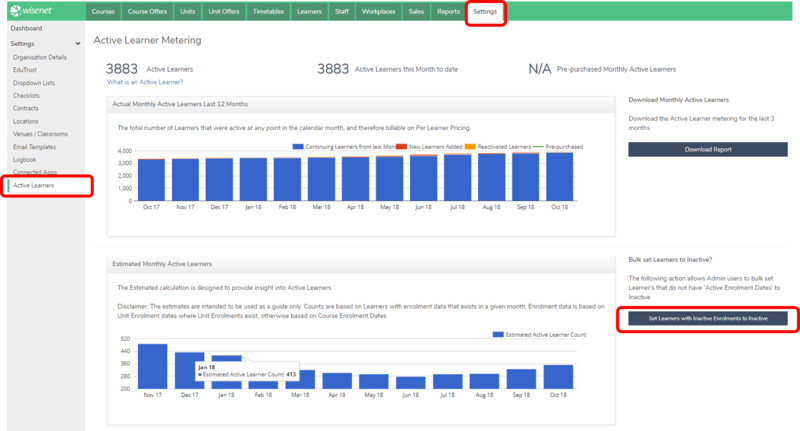 You can see all Active Learners on the Dashboard in LRM. You can later mark a Learner Inactive as required. This can be done at any time based on your policies once you have finished with the Learner. After you have set the Learner to Inactive you will see this notification on their page. 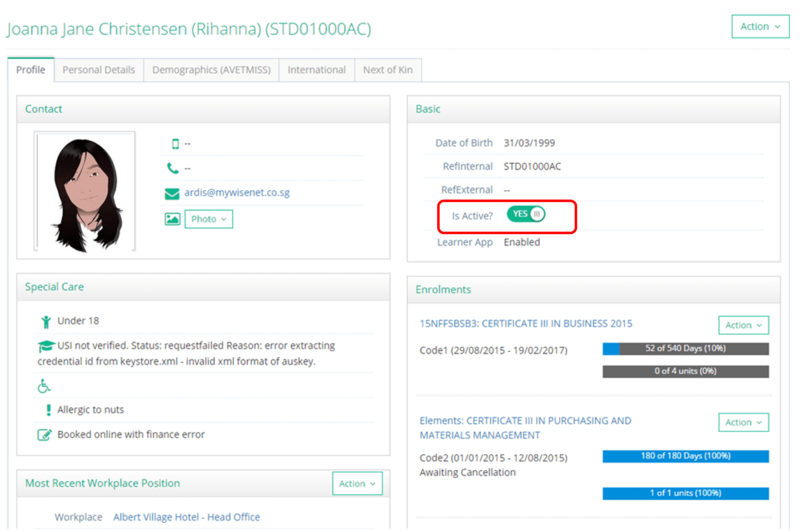 When the Learner is Inactive you will not be able to complete edit actions on the Learner or any linked record. You will only be able to view information relating to this Learner. Subscribe to this report monthly so you don’t forget. Too many learners to change their status? Log a support ticket and as a once off we can change these in bulk. If you would like to transition to Unlimited User Access inquire about our Per Learner Pricing today by contacting us via support or phone.